Lucky Londoners have a number of fully gluten free eateries to choose from. 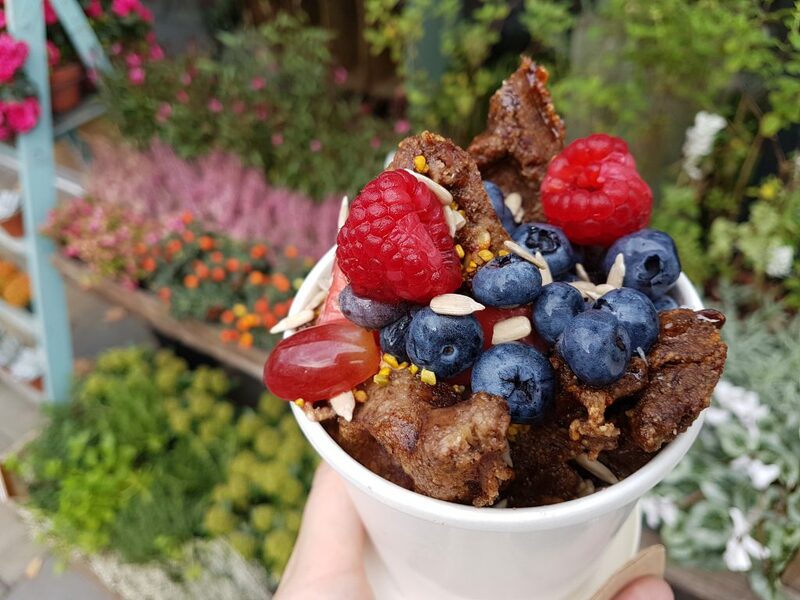 Here I have compiled details of my top fully gluten free London picks, nearly all of which I have tried personally as I live in central London. I am coeliac and rate all these places as very safe choices when dining out in London. As always, please do double check when you visit just in case for some mad reason they have decided to add gluten to the menu! WHAT: The gluten free mothership. No coeliac’s visit to London is complete without a visit to one of Beyond Bread’s incredible fully gluten free bakeries. Their baked goods are some of the best gluten free treats I have ever eaten – you MUST try one of their chocolate twist Danish pastries, they are sensational. The two main bakeries also have a cafe area and serve delicious brunch and lunch dishes. 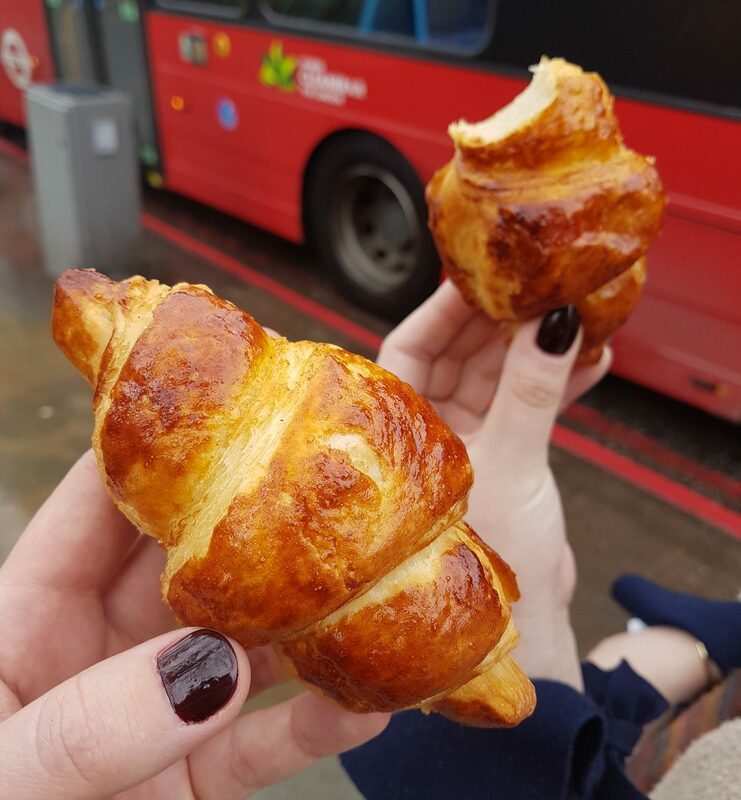 WHERE: Beyond Bread has three locations at present – Central London near Tottenham Court Road Station, North London near Islington Station and a concession in Selfridges Food Hall, near Bond Street Station. 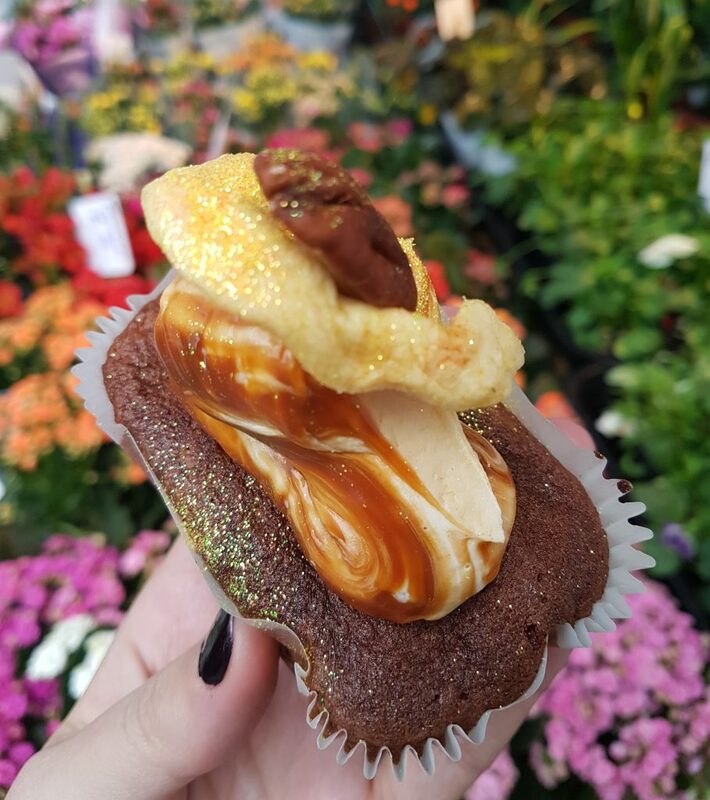 WHAT: A fantastic choice for people who are gluten free and dairy free, Cookies & Scream is a fully gluten free vegan bakery. 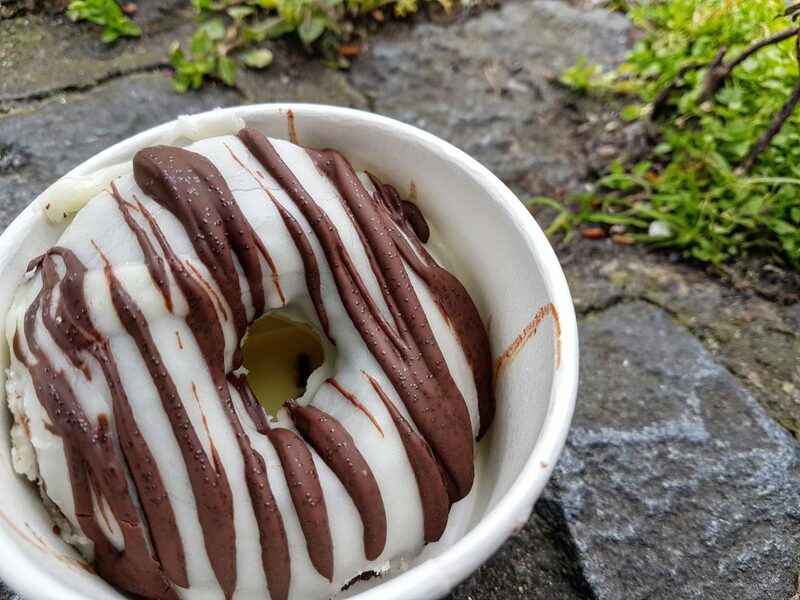 They produce some wonderful sweet treats, including doughnuts (although make sure you get there in the morning as they sell out fast). Everything I had tried from Cookies & Scream has been excellent and you would never know the products are vegan. WHERE: They have one store near Holloway Road station in North London – sadly their original Camden bakeshop location has now closed. 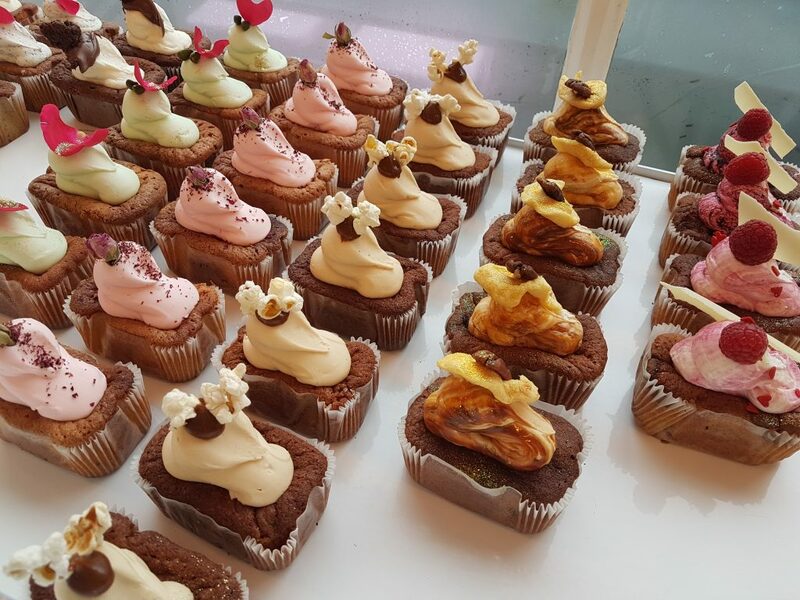 WHAT: For the prettiest gluten free cupcakes in town, you need to visit Cupcakes & Shhht. Oh and everything is vegan too, making it another ideal spot for dairy free peeps. WHERE: They have a small cafe and bakery in the Artworks near Elephant & Castle station. They also do occasional pop ups and food markets, so check out their Instagram for details. WHAT: A cute little permanent hut outside the Ace Hotel in Shoreditch. The East London Juice Co is fully gluten free and serves up tasty vegan waffles – they aren’t light and fluffy like regular waffles, but a more wholesome, fibre-packed variety. They come topped with juicy fruit, seeds and bee pollen. A very cool location to visit. WHERE: Shoreditch – closest stations are Liverpool Street Station (if taking the tube) and Shoreditch High Street (overground). 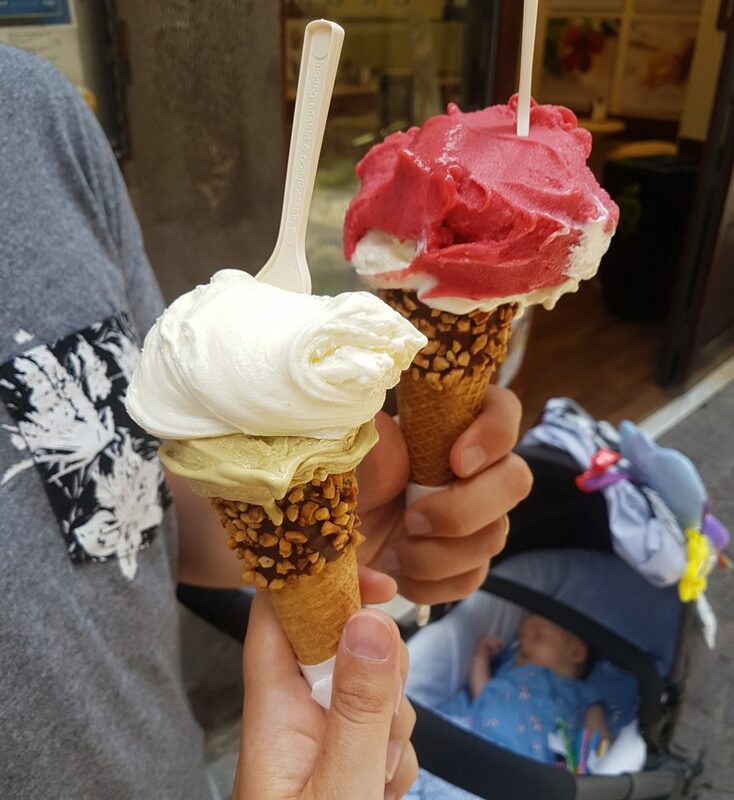 WHAT: My favourite Italian gelato chain has FINALLY arrived in London – woohoo! Grom is 100% gluten free, from their chocolate-dipped cones to their biscuity toppings. Their gelato and sorbets are obviously all gluten free as well and every flavour is utterly delicious. WHERE: Located in central London, near Piccadilly station. 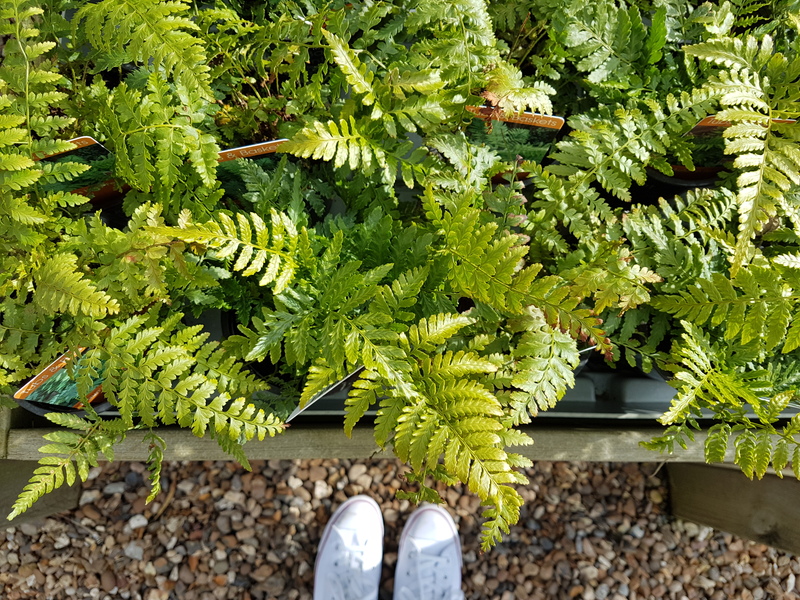 WHAT: ***CURRENTLY CLOSED*** It is very out of the way if you are a London visitor, but if you happen to be in Walthamstow (Weds – Sun) it is certainly worth a visit. 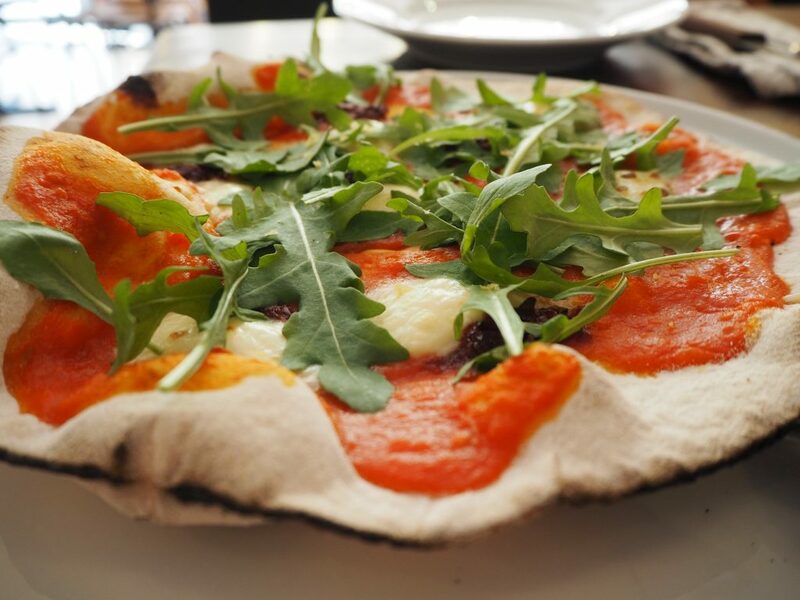 They produce some wonderful gluten free baked goods, including tasty savoury items such as homemade pizza. WHERE: Walthamstow, on the Lea Bridge Road. WHAT: Tiny works of cake art that taste as good as they look. 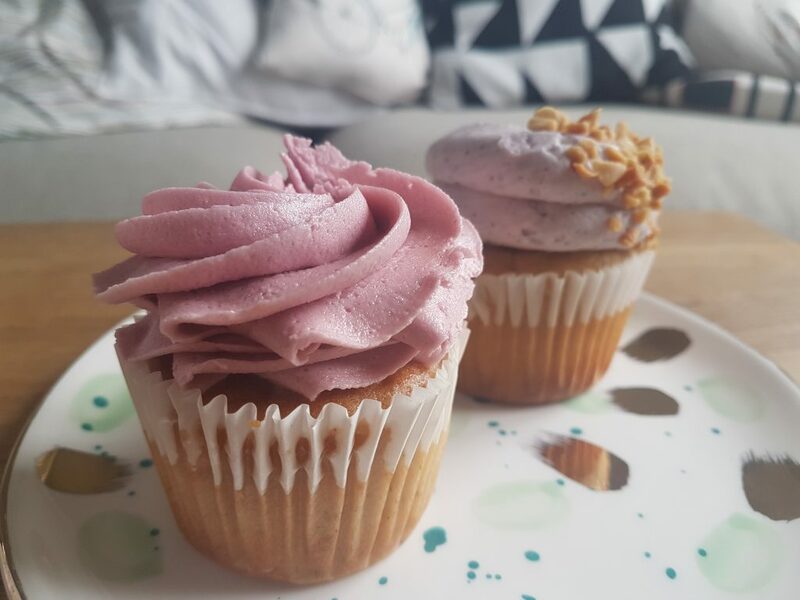 Pearl & Groove is a fully gluten free bakery that also offers some dairy free and refined sugar free cake options. They have some amazing flavours, such as dark chocolate and ginger, pistachio and vanilla, or espresso martini. WHERE: On Portobello Road in West London – head to Notting Hill Station and walk from there. 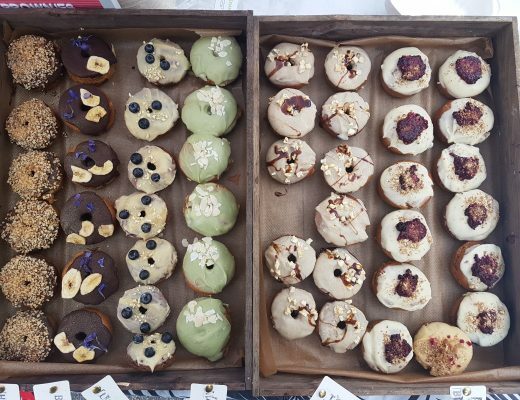 WHAT: A fully gluten free and vegan bakery on Brick Lane, in East London. 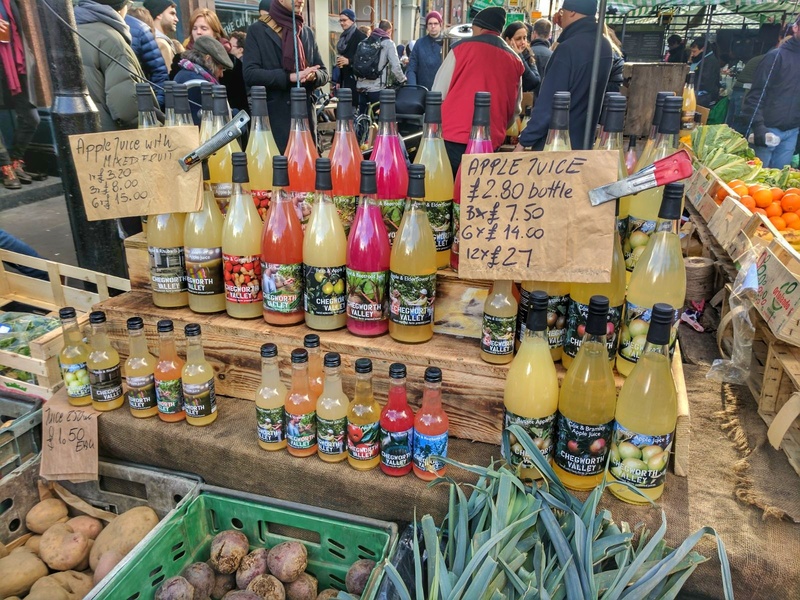 WHERE: Take the tube to Liverpool Street station and walk from there – it’s a great stroll through Spitalfields Market then up Brick Lane (lots of trendy bars, shops and cafes) to the bakery. WHAT: Well technically this is an ice cream parlour rather than a bakery but I am popping Yorica here anyway. 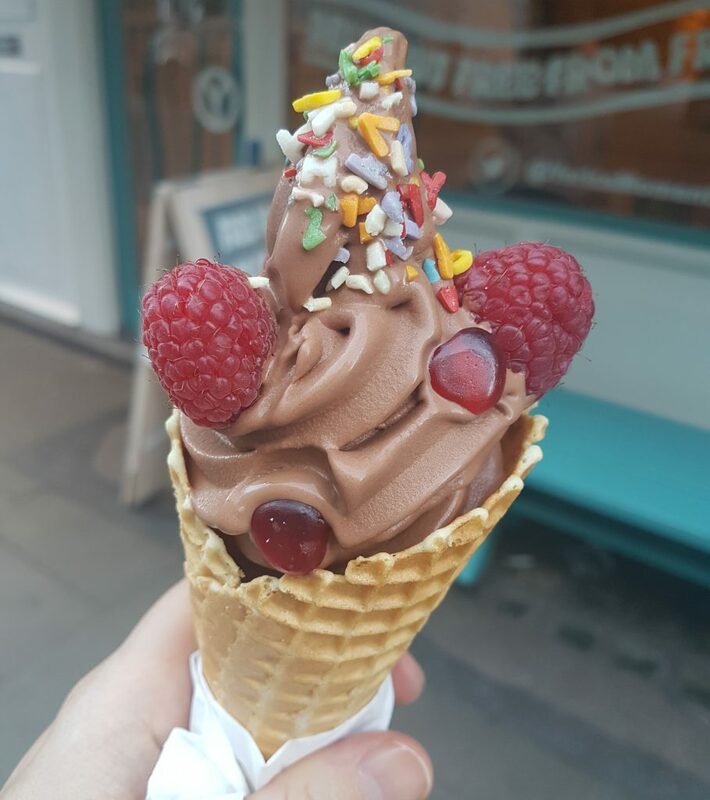 Yorica is fully gluten free and dairy free, serving up fantastic ice cream and soft serve in crisp gluten free sugar cones or topped with freshly made gluten free waffles. A real delight and easy to get to as they are based very centrally in Soho. Oh and did I mention the free-flow sprinkles?? WHERE: Soho – closest stations Oxford Circus/Tottenham Court Road. WHAT: A wonderful cafe/restaurant in Clerkenwell who serve a fully gluten free menu. The menu is also refined sugar free and cows milk free, but you would never know as the food taste so good! Owners Catherine and Danny developed the menu specifically to serve nutritiously good food that tastes amazing. With a heavy focus on quality ingredients and seasonal food, I highly recommend this gluten free London gem. WHERE: Farringdon is the closest station. WHAT: A fully gluten free Italian serving up crispy thin pizzas and homemade pasta, amongst other delights. They have some fabulous gluten free desserts on offer too. Not the easiest to get to, unless you live in the area, but the yummy food might just tempt you to make the journey West. 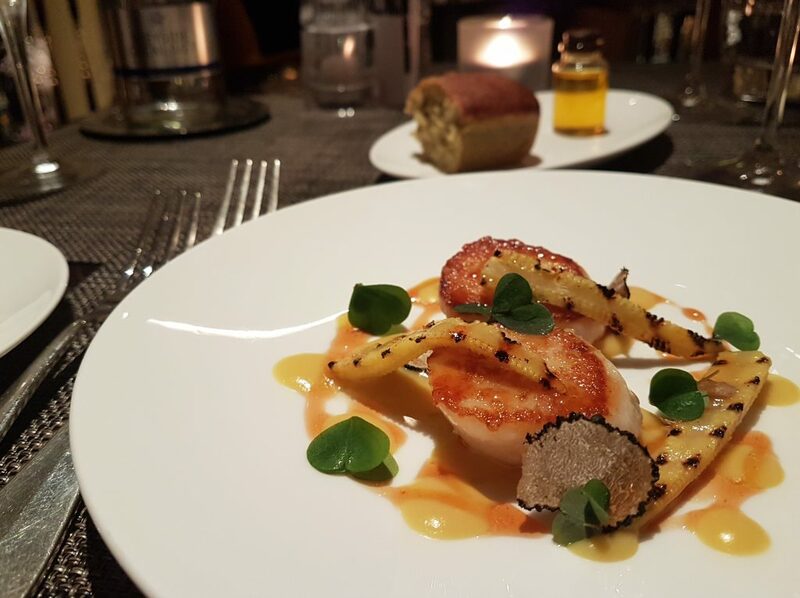 WHAT: A fully gluten free restaurant in a the beautiful One Aldwych hotel – this is the place to go for a special meal or to treat yourselves to a lovely evening dinner, they even have a 5 course tasting menu. Indigo are brilliant as they went secretly gluten and dairy free for months before announcing it in the papers. Proof that gluten free food can taste just as good as regular food. Accredited by Coeliac UK. WHERE: Central London – Holborn is the closest station. 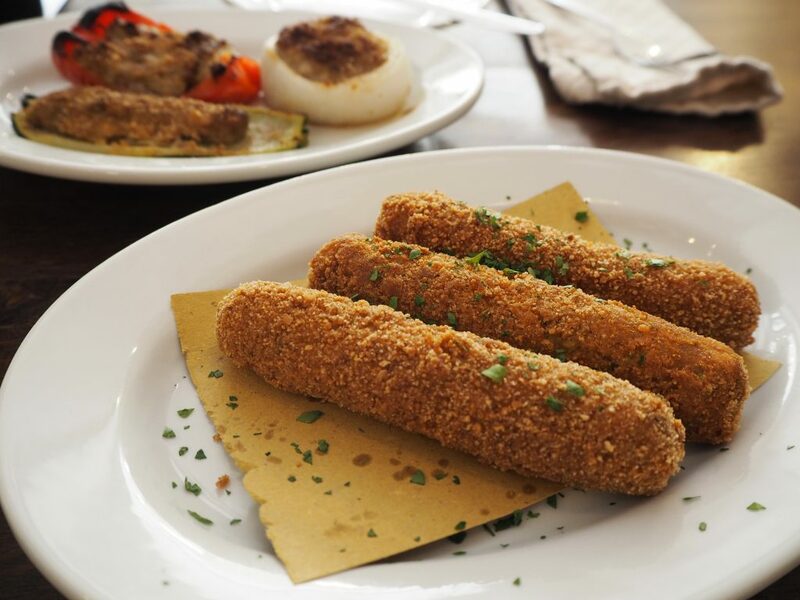 WHAT: A fully gluten free Italian restaurant in Soho, Central London. 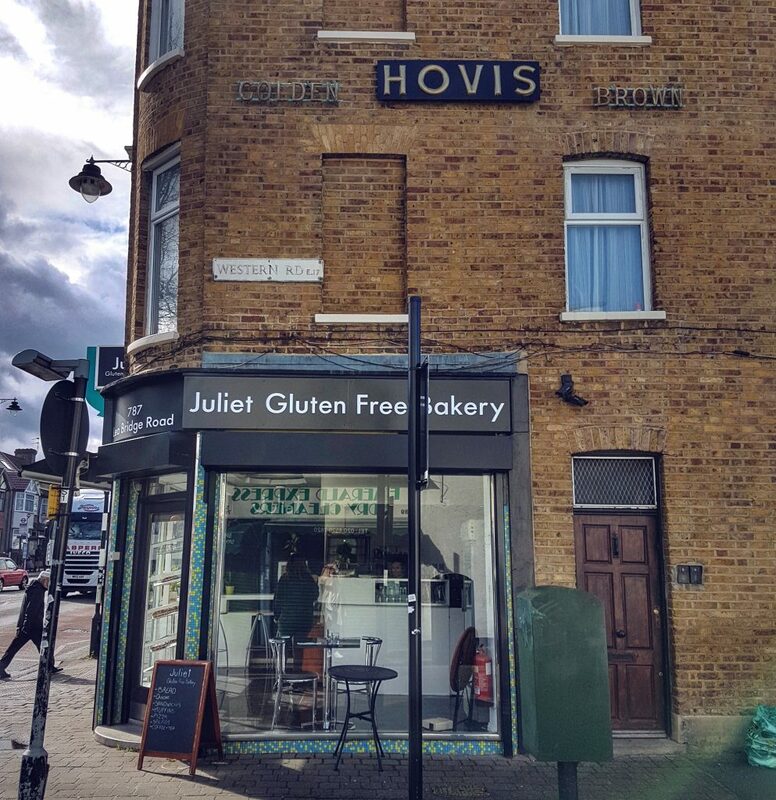 WHAT: While they haven’t set out to have a fully gluten free menu, this creperie in North East London only uses buckwheat flour for its entire crepe and galette menu. WHERE: Clapton – a tricky one to get to unless you live in East London or are happy to take a bus. You could also take the overground to Hackney Central and walk from there. WHAT: One of my gluten free London favourites as the team at Mommi are wonderful. 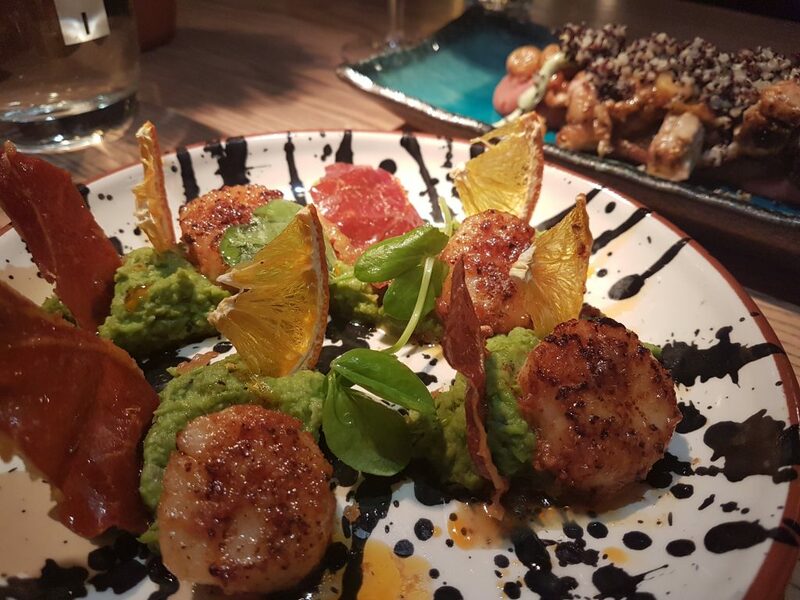 You would never guess that the food here is gluten free – it is a wonderful Peruvian-Japanese hybrid menu with some incredible dishes. 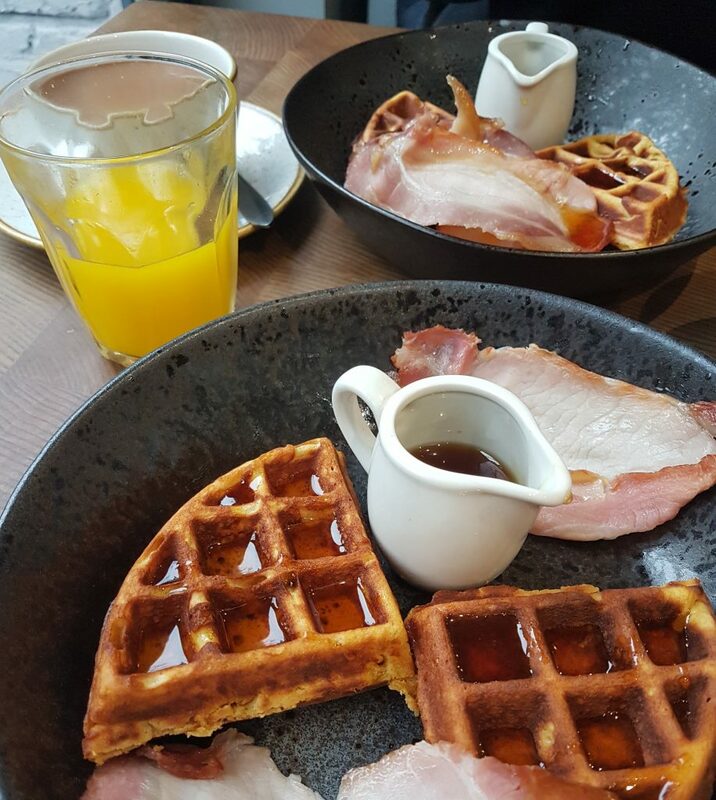 Head here on Sundays for bottomless brunch and immense roast dinners, including gluten free Yorkshire puddings. 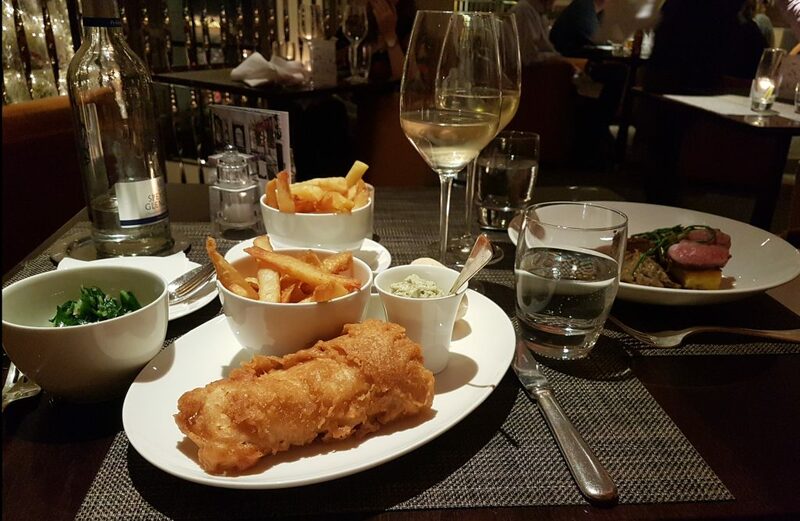 Or head there in the evenings for sharing dishes, big plates and delicious cocktails. Check out my Instagram review here. WHERE: Clapham – the best station to head to is Clapham North. WHAT: A fully gluten free menu focused on raw food…however there is also a further “grill” part of the restaurant serving up steaks and non-raw food, most of which is gluten free. I haven’t tried this spot yet, but it is on my list. WHAT: One of the original fully gluten free offerings in London. A great place to visit for serious gluten free gluttony – from pies and fried chicken to classic British puddings. Their restaurant is a good choice for lunch or dinner. WHERE: Closest station is Angel. WHAT: A healthy cafe serving up some very tasty gluten free dishes. The menu was fully gluten free when I visited but please check as the menu does vary. It’s a lovely spot for brunch, especially on a sunny day as they have a little courtyard out back. 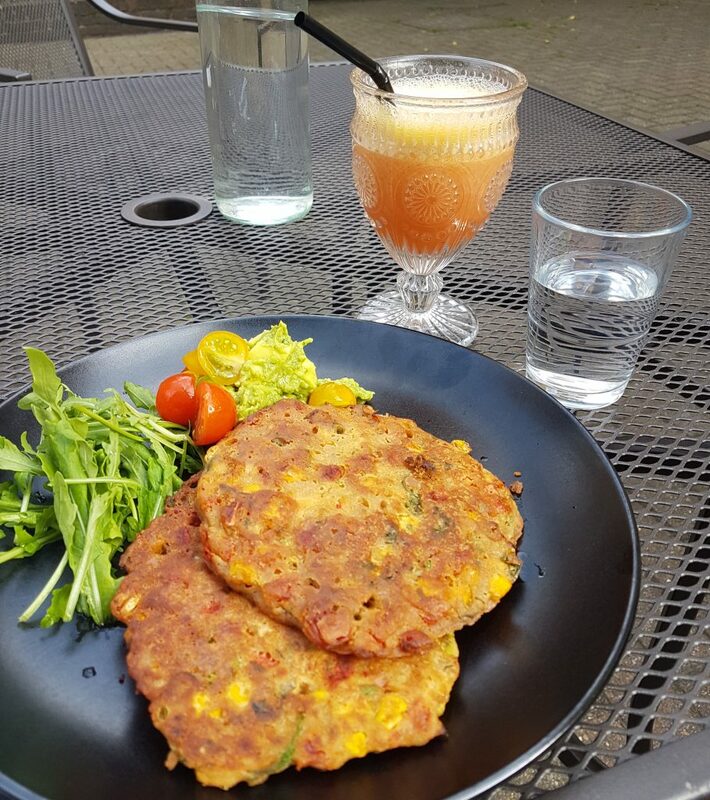 I love their sweetcorn fritters washed down with one of their freshly made juices. WHERE: Shoreditch – Old Street station is closest. WHAT: A teeny cafe/restaurant in Brixton Market, South London. Station 26 is 100% gluten free and their food is wonderful. I visited for brunch (see pic below) and had an absolute feast with my friend – we really rated all the dishes we tried. Next time I am visiting them for dinner and I hear their tex mex ribs are epic! WHERE: A short walk from Brixton station. 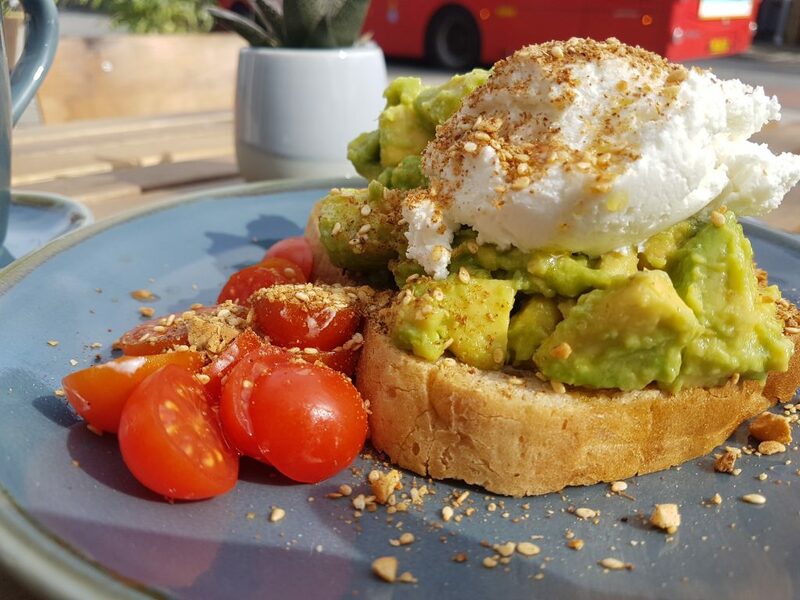 As detailed above, Beyond Bread have fully gluten free cafes at their Islington and Fitzrovia locations. WHAT: A fully gluten free cafe. I still haven’t had the chance to visit as they are fairly new, but I have tried their products and their gluten free pastas are incredible! Their in-store menu include charcoal-base pizzas, for that extra Instagrammable shot. WHERE: Richmond, so it is fairly far out of central London, but it is a lovely area. It is also ideal if you are planning a visit to Kew Gardens as it isn’t too far away. Although incidentally Kew Gardens do also have gluten free London choices in their cafe. WHAT: A cool new cafe that has a fully gluten free food menu. They serve amazing gluten free bread, Rana’s, and bagels topped with all the delicious things! They also serve acai bowls, fresh juices and gluten free cakes. A lovely place and I highly recommend it for brunch. WHERE: De Beauvoir near Islington – Haggerston is the closest station. 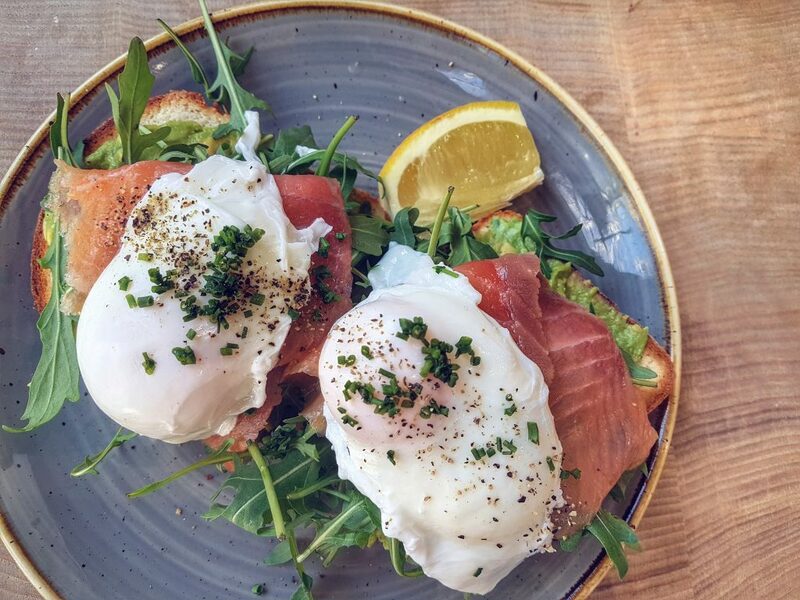 WHAT: All day brunch and dinner at this fully gluten free healthy cafe. Their new Essence Express venture also offers quick gluten free grab n go items. 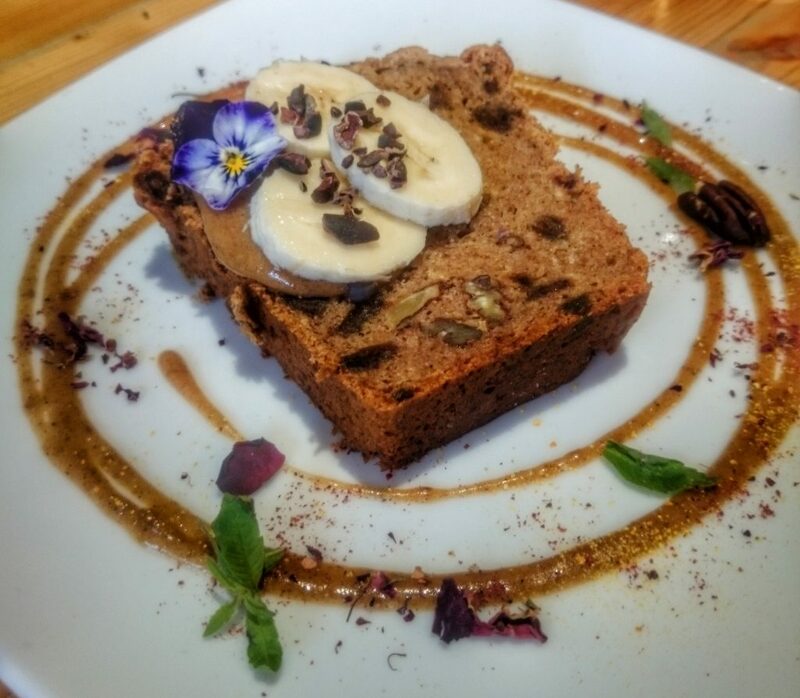 The focus is on a plant-based menu and raw food – you’ll find a selection of raw cakes here if that’s your bag. WHERE: Shoreditch – take the tube to Old Street Station or overground to Shoreditch High Street. WHAT: A fully gluten free cafe situated in London’s coolest department store, Selfridges. The menu was created by the very beautiful Hemsley sisters, UK celebrity chefs, and all the food is also refined sugar free. WHERE: Selfridges – Bond Street or Marble Arch are the closest tube stations. 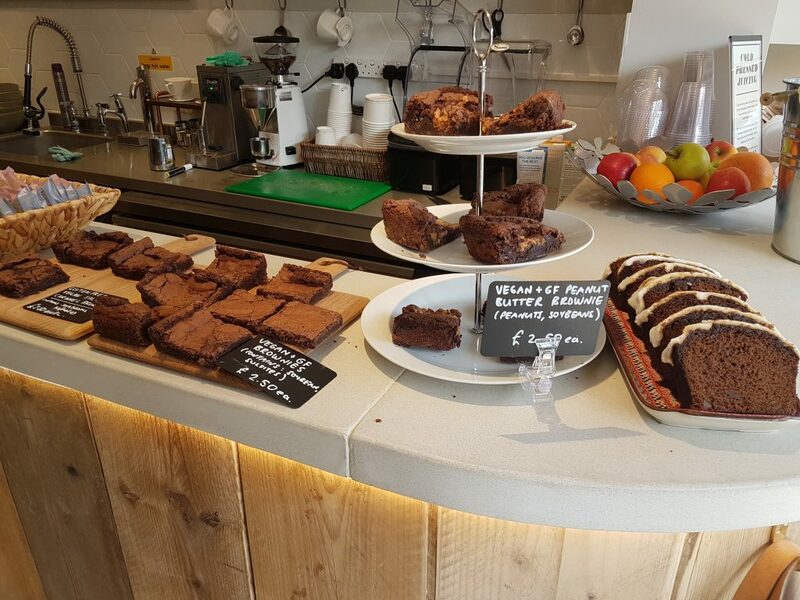 WHAT: This fully gluten free cafe is slightly out of the way in South London, but it is certainly worth a visit if you can make it to Wimbledon. Their food is wonderful and the owners kindly gave me a tasting of many different items on their menu. 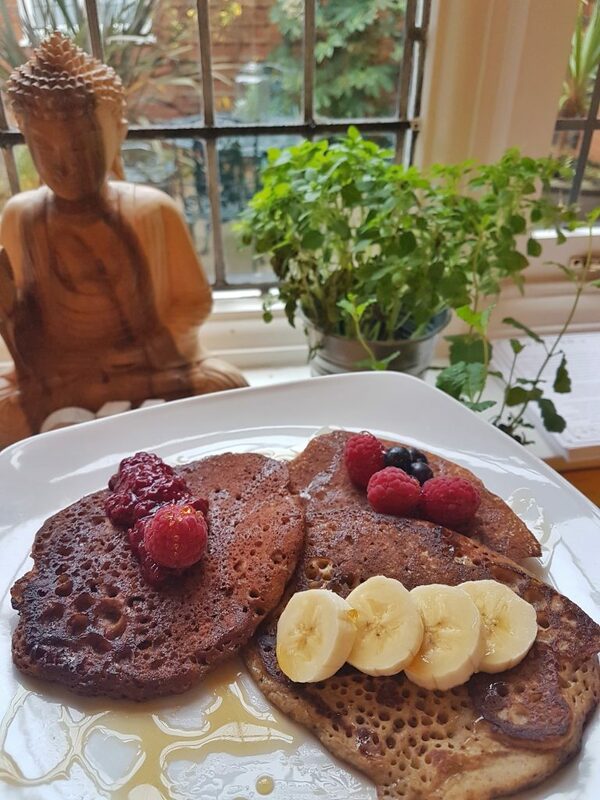 You can even get gluten free pancakes if you visit them for weekend brunch – yummy! 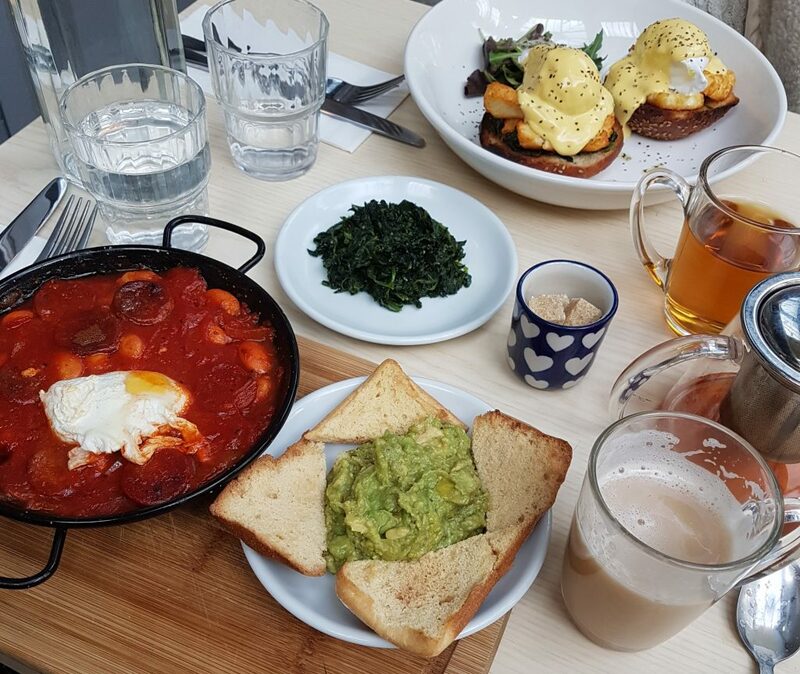 As detailed above, Pearl & Groove also have a tasty gluten free brunch menu that you can sample at their Notting Hill bakery. Or pop by for a gluten free bagel or toastie at lunch time. Yum! 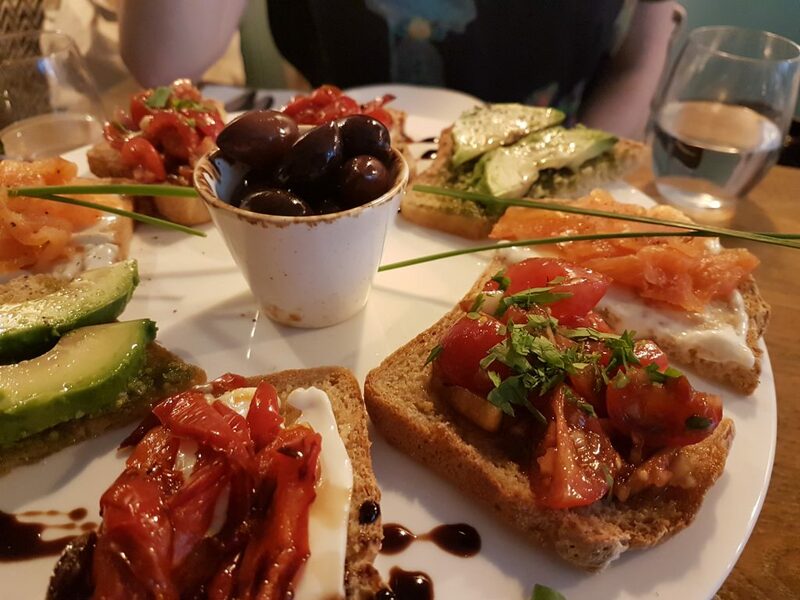 WHAT: Offering a fully gluten free food menu, this new vegan cafe offers amazing gluten free foccacia bread, freshly baked cakes and other yummy dishes. WHERE: Hackney – Bethnal Green is the closest underground station. WHAT: A vegan cafe in beautiful Neil’s Yard in Covent Garden. The cafe is usually fully gluten free, however on their website they ask that you call ahead to double check their current menu. 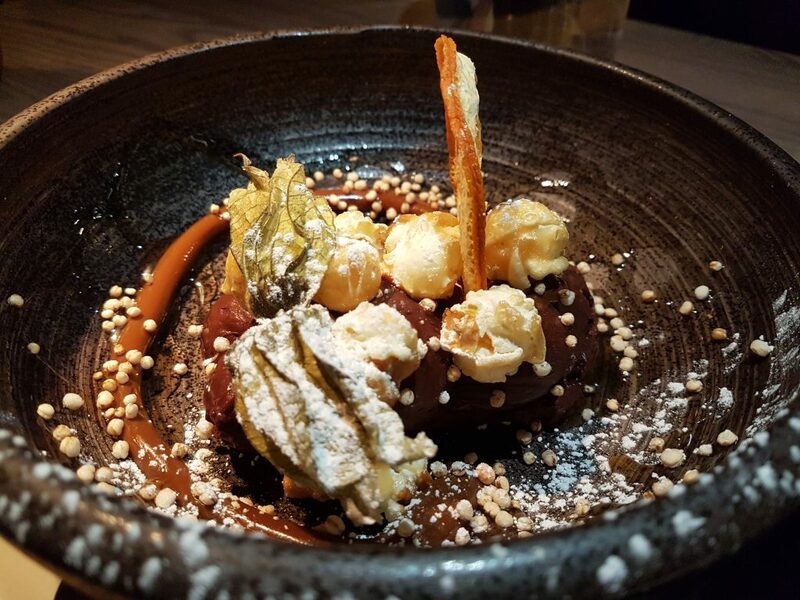 When you visit be sure to save space for dessert as they do some amazing (and very pretty) gluten free puds. WHERE: Covent Garden – take the tube to Tottenham Court Road.